Chris Cander came to Mayo Clinic almost a decade ago with her husband, Harris, who was in need of a kidney transplant to treat kidney failure from polycystic kidney disease. Chris had planned to be her husband's donor. And the couple had planned to have the transplant surgery in Houston, where they had "great medical care" and "a strong local support network." Their plans changed, however, when the couple learned Chris was pregnant with their second child. Suddenly, a "relatively straightforward" transplant became complicated. Harris' brother Allen was selected as the best candidate to replace her from a pool of potential donors that included family and friends. But Allen wasn't a perfect match. And that led the Canders to Mayo Clinic. "Because Mayo Clinic researchers were among the first to develop treatments to counteract antibodies from an incompatible donor kidney, they also had one of the few transplant teams who would do this high-risk surgery," Chris tells us. And, she says, the family "knew that my husband and his brother would have the best possible chance at a successful outcome" at Mayo. What Chris didn't know was how challenging it would be to be "pregnant in a strange city with a three-year-old and a husband undergoing kidney transplant." Chris took her daughter, Sasha, "to the library and area parks with hope that she might meet some playmates." Secretly, Chris tells us, she hoped she might meet a friend, too. And one afternoon at Silver Lake Park, she found one in Ellory Pater, who works at Mayo Clinic. "There was something about the way" Ellory "spoke to her daughters," Chris tells us, "that made me brave enough to speak to her." And once she started, it seems she couldn't stop. The conversation "felt more like a reunion than an introduction," Chris says. Playdates and sleepovers followed, and by the time the Cander family returned to Houston a month later, Chris tells us that she "felt like I was leaving my sister behind." Today, Chris says her friendship, like her husband, "remains in perfect health." 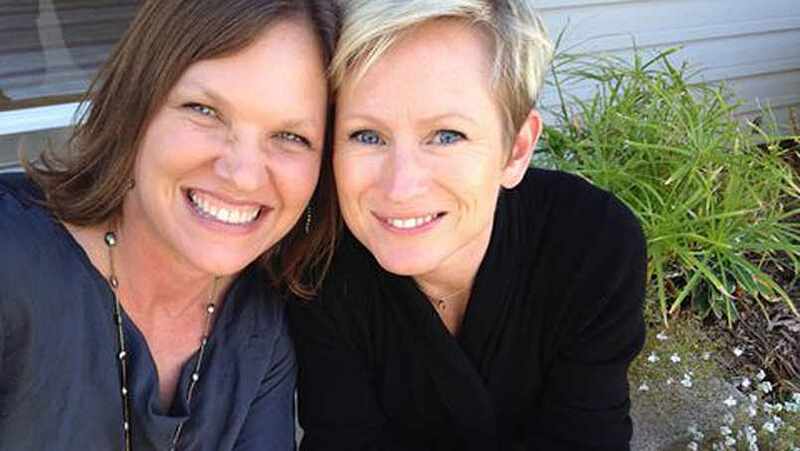 What started as a chance meeting on a playground has blossomed into a friendship "that will see us through the rest of our lives," Ellory tell us. Their families have traveled together, shared holidays and enjoyed many visits during Harris' return trips to Mayo Clinic. Ellory, a project manager at Mayo, says that while she's "always had a tremendous respect for what Mayo does for patients," seeing Mayo Clinic through her friend's eyes has "made it real." And she's seen the difference small kindnesses — "something as simple as walking them through the corridors to get them to the right place" — make to patients. "That Mayo helped Chris and Sasha as well as Harris is part of why they choose to do his annual checkup here," Ellory tells us. And, she says, "the opportunity to connect" with patients and "hopefully make their day or their lives better" makes her "proud to be part of the Mayo Clinic family." And as Ellory and Chris discovered, those opportunities can be life changing. Show us a little kindness by sharing your comments below. Then, you can share this story with others using the social media tools atop this page.